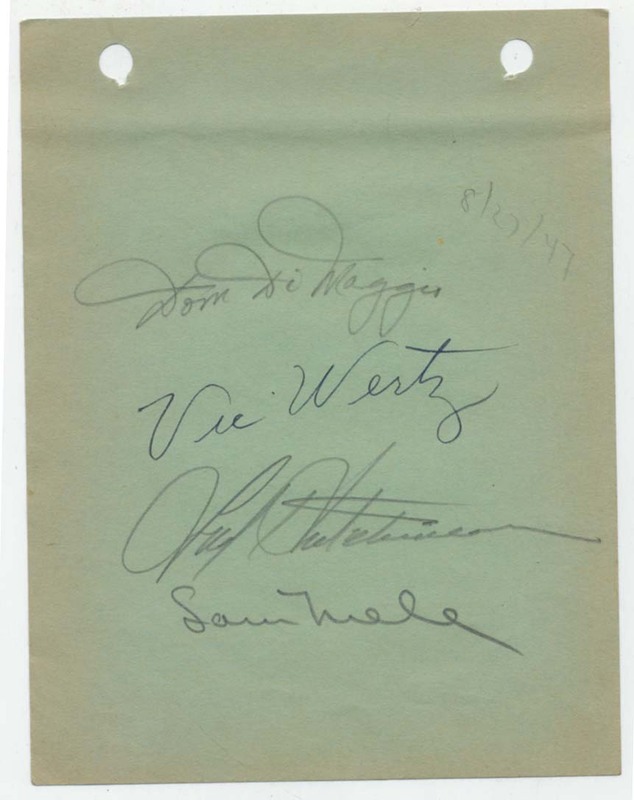 Clean autograph album page from the late 1940s. Signed boldly at the time in pencil by Fred Hutchinson, Dom DiMaggio, Vic Wertz and Sam Mele. Hutchinsons signature is large and flowing, very fine. Hutchinson tragically died of cancer in 1964 at age 45 and has a prominent cancer center named after him in Seattle, Washington.